HOUSTON - The fantastic spring weather Houston experienced to end the weekend will continue Monday. Temperatures started in the 40s and 50s on Monday morning for Southeast Texas. Abundant sunshine and low humidity will allow temperatures to warm to about 80 degrees by the afternoon. Clouds begin to increase Tuesday ahead of a cold front, but plenty of sunshine is expected. Temperatures will climb into the 80s. The front arrives Wednesday night and will move east of the region by Thursday morning. 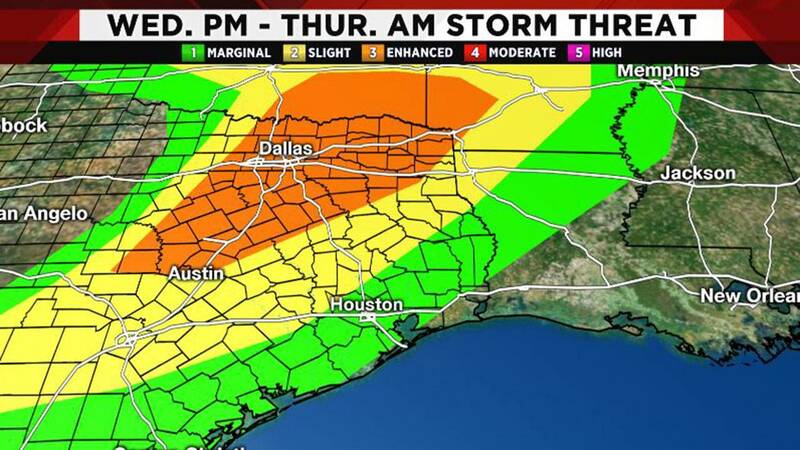 Some strong storms are possible as the front passes, but the worst of the weather is expected to be north of the Houston area. Behind the front, temperatures once again dip into the 50s by Friday morning with plenty of sunshine. The start of Passover and Easter weekend looks spectacular, with lots of sunshine and high temperatures in the 80s.